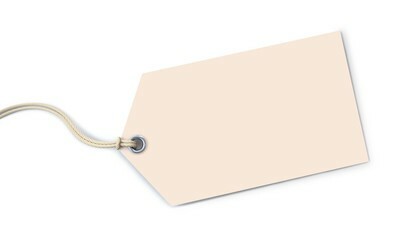 Labels can be limiting and damaging. Our team is qualified and experienced in the use of a number of psychometric tests and as with everything these types of assessments have their place, but isn’t it time we stopped this? Over the years we have seen psychometrics used to give people jobs, or not, to give promotions or not, but perhaps the most disturbing, is that they are used by lazy managers to excuse behaviour. Yes really, there are some lazy managers out there! Well, whatever the letter, the colour, the number or the pack, psychometric tests highlight both strong and developmental areas in a person. One company had a Sales Director who upset his entire team, couldn’t work as part of a team, was rude, opinionated, refused to share information, spent a lot of time on breaks, but hit his sales targets. His behaviour was excused by his line manager because it had all shown up as part of his test. In another company a Head of Service was constantly receiving complaints from customers and grievances by members of his team, the Director excused his behaviour because it had showed in his psychometric. In another company you didn’t get through to the final stage of the interview unless you had a certain score on one of these tests. Candidates rarely got through to the third stage and those that did and were hired barely passed their probation period. Regardless of what a test says, it does not excuse this type of behaviour, not in a company that wants to succeed anyway. If we want to grow and develop, we need to focus on three core areas; language, relationships and behaviours. What do people say, how do they interact and how do they behave? These three areas impact performance and culture more than anything else in a business, yet so often we overlook them and base decisions on statistics and testing. So let’s get back to speaking and connecting with people, removing labels and testing and actually working with people for what they really are, people! Originally published at www.chrysalis-consulting.co.uk on June 1, 2016.